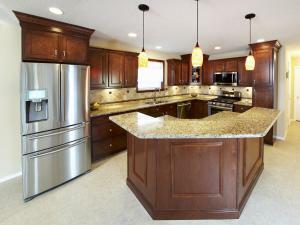 Traditional 90's home meets contemporary kitchen design. 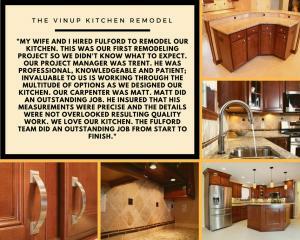 The Vinup kitchen located in O'Fallon IL. 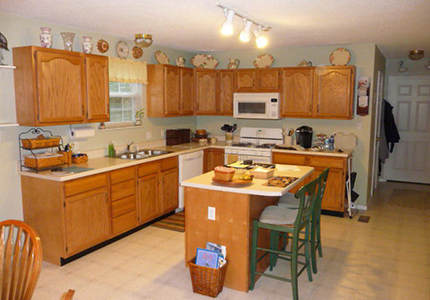 was like most kitchens from the 90's; oak cabinets, inadequate lighting, and lacking sufficient storage features. 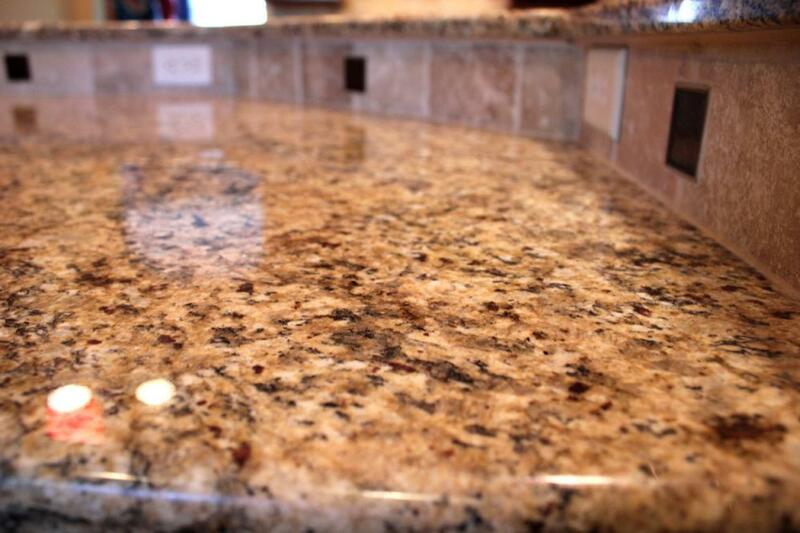 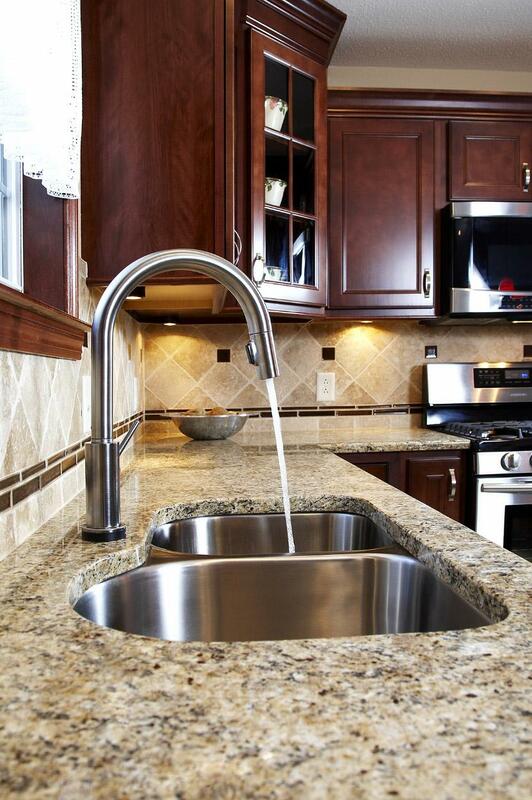 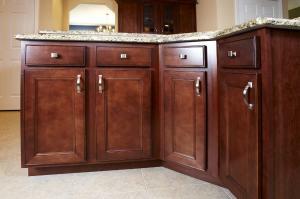 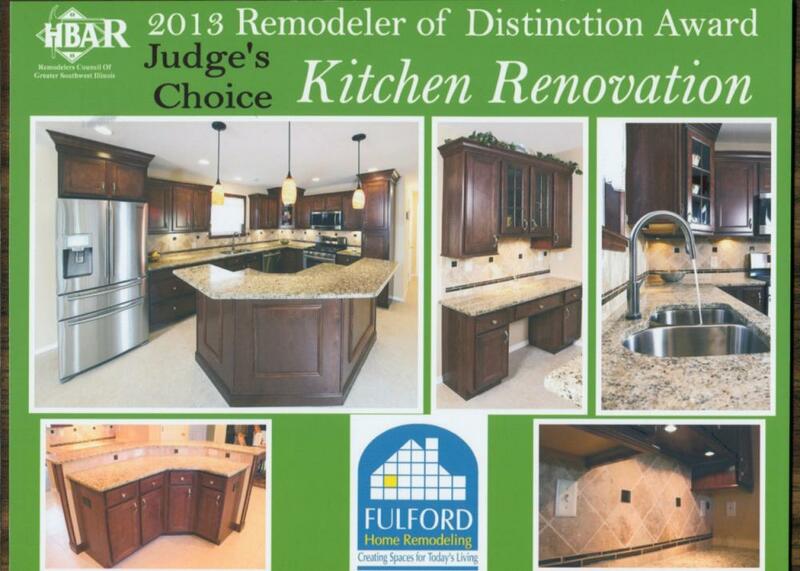 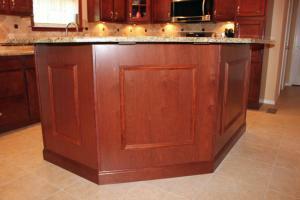 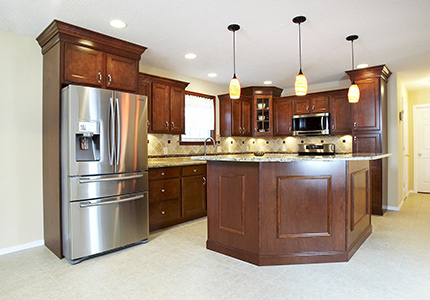 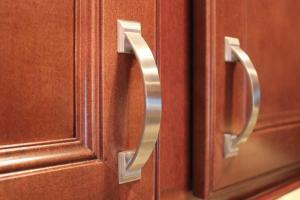 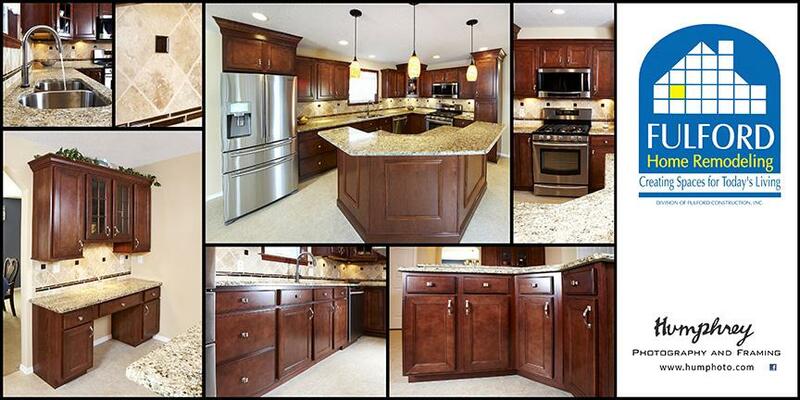 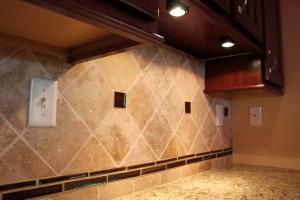 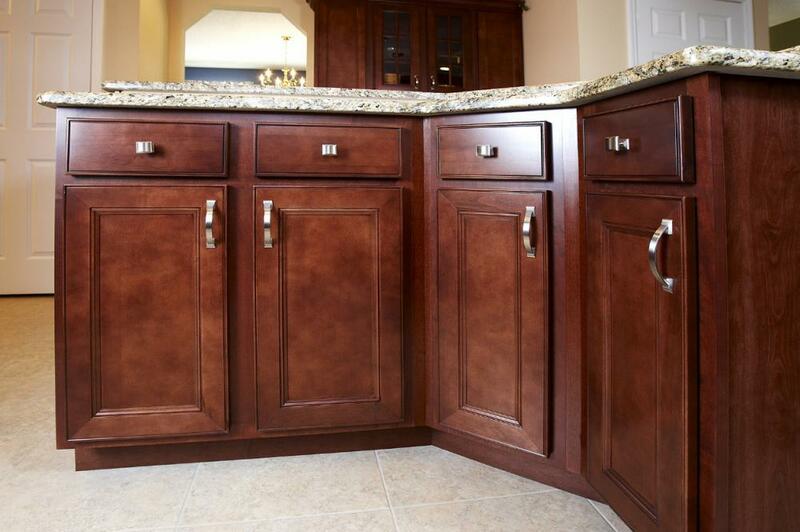 They contacted Fulford Home Remodeling with the intent to just update their kitchen. 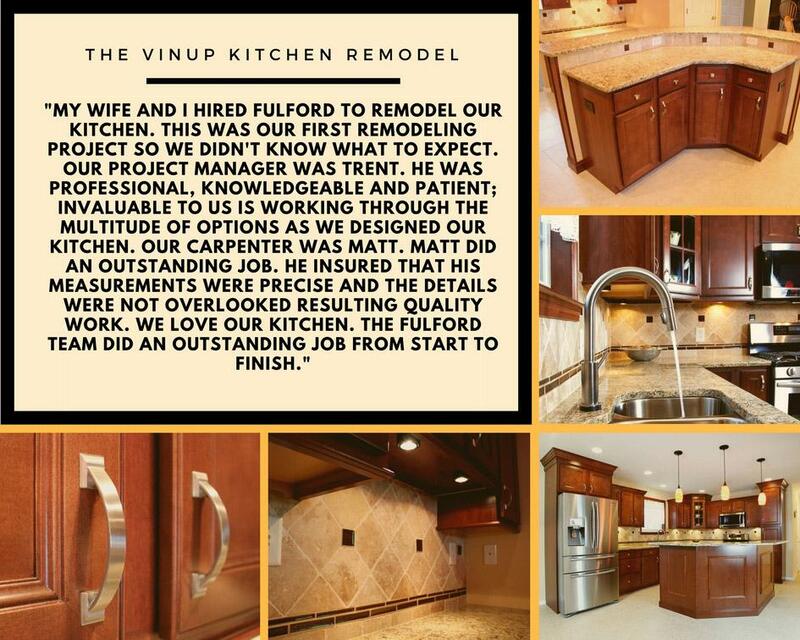 After several design meetings reviewing kitchen updating designs; they decided to spend a few more dollars and completely remodel their kitchen. 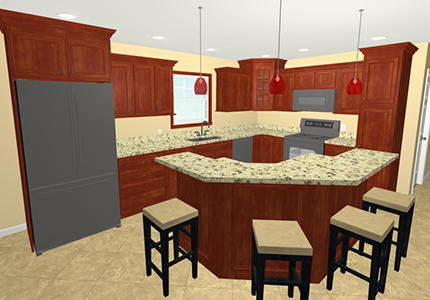 After the new kitchen design was completed and the proposal was finalized; our interior designer met with them to finalize all the product color selections. 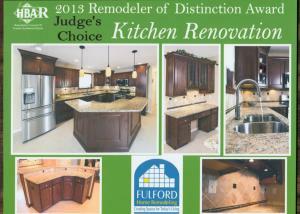 Before construction began the entire existing kitchen was “gutted” down to the walls and remaining subfloor. 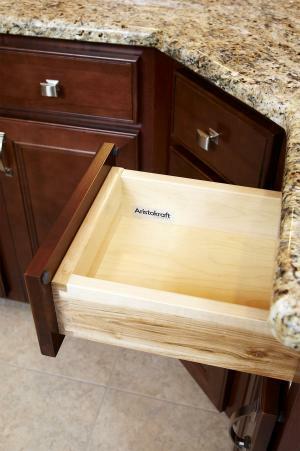 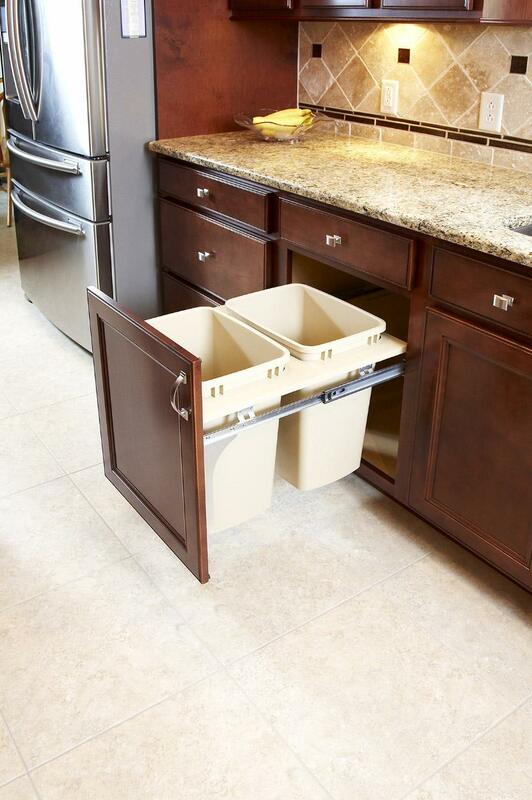 The new kitchen design incorporated multi-tiered Aristokraft “maple” cabinets that included ¾” dovetail constructed drawers, glass display doors, and a waste-basket pull-out drawer. 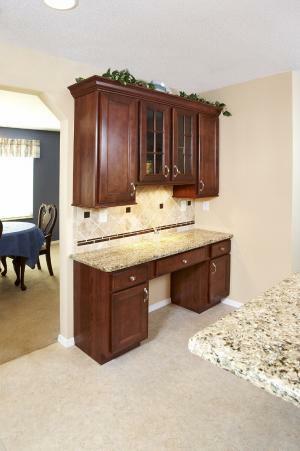 Other kitchen features included Amerock cabinet handles, a custom tile backsplash with glass inserts, a touch-sensitive Delta kitchen faucet, Armstrong-Alterna flooring, Sensa-Granite countertops, Elkay undermount sink, Samsung appliances, ample recessed can lighting, under-cabinet lighting, and decorative island pendant lights. 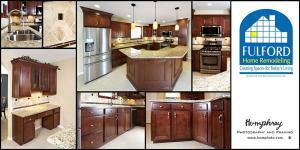 This amazing kitchen will surely be the envy of all their friends and be enjoyed by their family for many years to come. 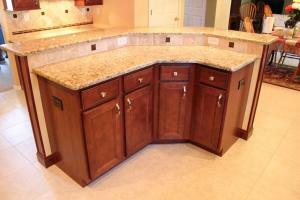 All design work was done in-house using Chief Architect. 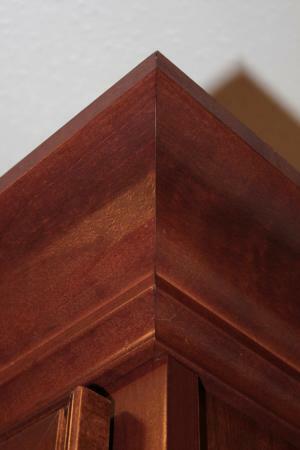 Click here to review the specific products used for this job.